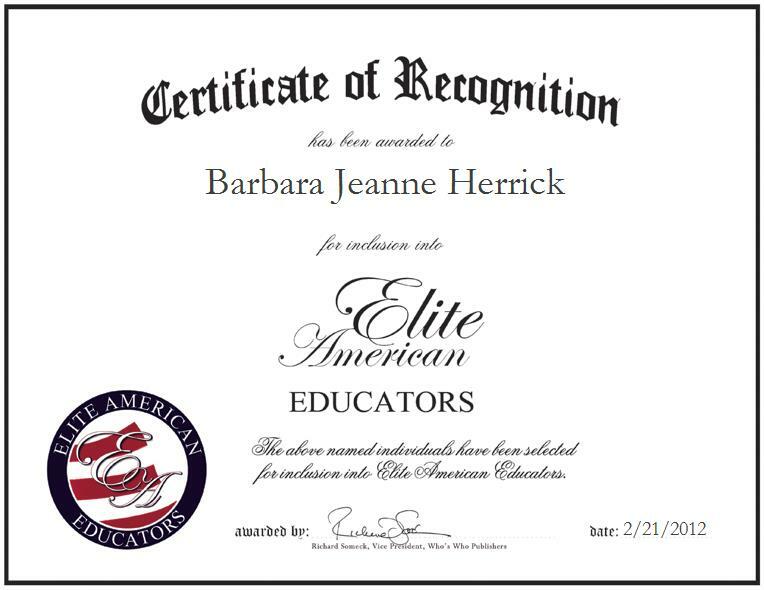 Barbara Jeanne Herrick is an Instructor and Independent Mentor in Waterloo, Iowa. Rounding out a 40-year career, Ms. Herrick attributes her success to her passion for teaching history and geography. She is a recipient of the 2003 Social Studies Teacher of the Year Award, as granted by the State of Iowa, and she has garnered a reputation of distinction for her peerless efforts to instill in others the first-rate guidance and direction that they deserve. She currently serves as a mentor, and in her role, she implements professional development programs for teachers. She has received recognition from The Taft Institute for Government, and from the Union Carbide Corporation. Ms. Herrick published a handbook on skill development and articles in Global Education Newsletter, Taft Association and Lesson Plans published by Smith College. She has also delivered national presentations on her work.